Many BMWs come stock with adjustable camber. 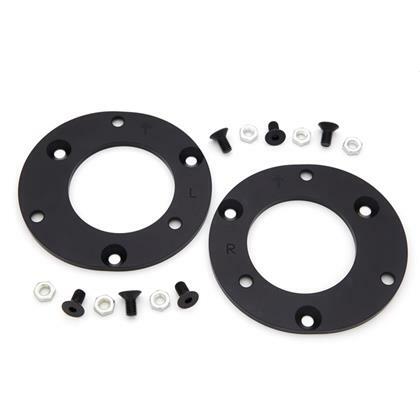 Dinan’s Camber Plates shift the range of the stock adjuster by -0.5 to -0.7 degrees, providing for a more aggressive negative camber setting that dramatically improves grip in the turns for reduced understeer and razor sharp turn-in. Aggressive drivers will benefit from reduced outside edge tire wear as well.